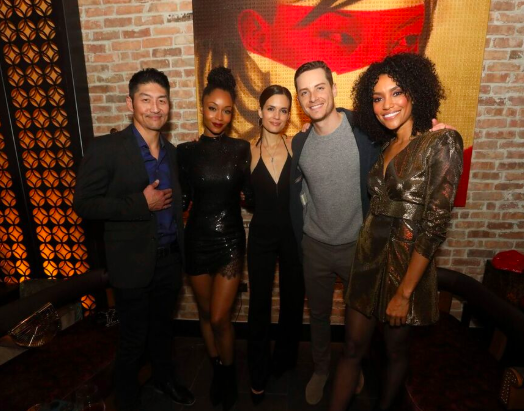 On Saturday night, the cast and crew of NBC’s Chicago Fire, Chicago Med and Chicago PD celebrated the season at the recently-opened dining and nightlife venue, TAO Chicago, where they hosted their “One Chicago” holiday party for all three shows. 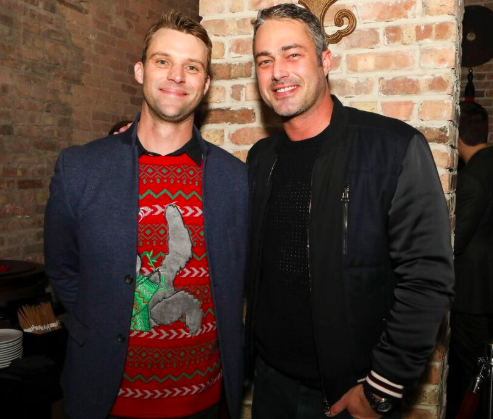 Among those in attendance were Taylor Kinney (Chicago Fire), Jesse Lee Soffer (Chicago PD), Torrey DeVitto (Chicago Med), Brian Tee (Chicago Med), Yaya DeCosta (Chicago Med), Jesse Spencer (Chicago Fire), Jason Beghe (Chicago PD), Jon Seda (Chicago PD), Marina Squerciati (Chicago PD), Eriq La Salle (ER, Chicago PD) and Annie Ilonzeh (Chicago Fire). Cast members enjoyed sushi and elevated Pan-Asian fare and were spotted hanging out in the restaurant’s lounge.